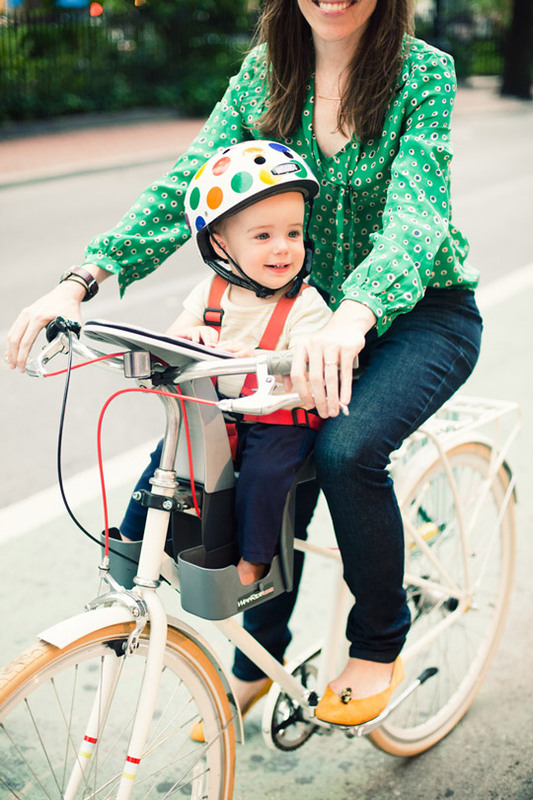 Driscoll and Duffy are active members in the Philadelphia chapter of Kidical Mass, a grassroots group that seeks to bring awareness to family cycling through group bike rides, community building and education sessions. In September, the group hosted a free daylong “The ABCs of Family Biking” workshop at Fleisher Art Memorial, and for the Philadelphia Bicycle Expo, they’ve organized a panel titled “Family Biking 101.” The panel will be informal, focus on questions from the audience and “not be preachy,” promises Duffy. Cargo bikes will also available for test rides. Family cargo bikes are attention magnets. While ubiquitous in a bike-friendly city such as Amsterdam, they’re a much rarer site on the Philadelphia streets. The most common questions that Driscoll and Duffy field revolve around cost (bikes like theirs start around $2,500), and safety. Simon Firth, an owner of Firth & Wilson Transport Cycles on 9th & Spring Garden, a shop specializing in cargo bikes, echoes the statement that the safety issue is critical. Duffy and Driscoll maintain that the best kind of safety is safety in numbers. It’s the main motivation for building a community around family cycling. “The best way to become a safer, confident family biker is to do it with more experienced people,” Driscoll says. On the group’s frequent group rides, newer family bikers can feel supported and protected by the veterans, and on Kidical Mass’ Facebook group, members post questions, share good routes, vent frustrations and promote other kid-friendly bike activities in the region. “Kids are cargo” is a common slogan in the family biking community, and it’s Kidical Mass’ goal to ensure that they’re treated as the most precious cargo of all.